Wednesday, In the kitchen again making dessert | A.B.E. Remodeling, INC. Since we were unable to post anything last Wednesday since were away and we didn't have access to the internet...I thought I'd throw in another recipe.... this time for AMBROSIA. A chilled dessert for a hot summers day. 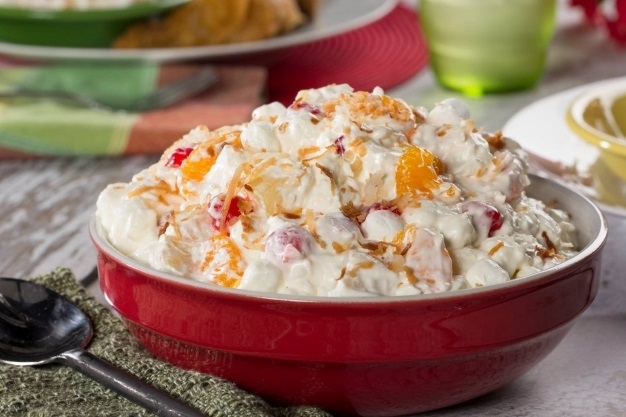 I like ambrosia but husband and son aren't crazy for it (can't understand that)…. So I don't make it to often… but "you' go ahead and whip this up and let me know your thoughts. ENJOY !!!!!!!!!! !